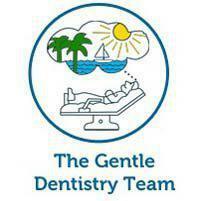 As a leading dental practice, The Gentle Dentistry Team helps patients throughout the Boca Raton, FL area get the best dental care they need without anxiety or fear, using safe, effective dental sedation techniques so every patient can experience the benefits of top-quality dental care without worry. Sedation dentistry uses techniques to help you “sleep” during your procedure, hence its more common name, “sleep dentistry.” Unlike general anesthesia, sedation allows the patient to remain responsive to basic directions like “open wider.” It also doesn't have the risks associated with general anesthesia. Although it isn't as “strong” as a general anesthetic, you'll still feel drowsy afterward and should have someone ready to drive you home. You should also plan to rest for the remainder of the day. Sedation is ideal for patients who are anxious about visiting the dentist, those who have a fear of needles, and those who are difficult to numb using traditional anesthetics. It's also ideal for patients undergoing extensive care, such as wisdom tooth extractions and dental implants. 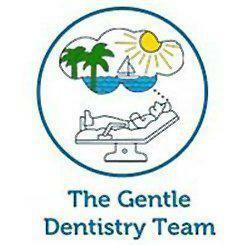 Yes, the dentists at The Gentle Dentistry Team are experienced in using sedation techniques for all sorts of procedures. While you're under sedation, your condition will be continually monitored so you can feel completely confident in your care. If you have medical conditions like heart disease or other health issues or if you take medication, you should be sure to let your dentist know and make sure to include it when filling out your medical history. Will my insurance cover the cost of sedation? That depends on your insurance plan. Ask our office staff to review your plan and its coverage limits prior to your procedure. If your insurance does not cover the cost of sedation, our staff can also help you arrange for easy financing so you can get the care you want at a cost you can afford.